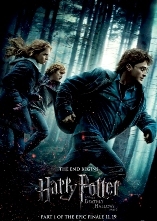 On 12th November 2010 I appeared on the Jamie and Louise show on BBC Radio Wales, commenting on the 7th Harry Potter film (Harry Potter and the Deathly Hallows: Part 1). We were joined on the phone by popular Welsh actor Steffan Rhodri (many of you will know him as Dave Coaches from the hit TV series Gavin & Stacey). Steffan played an important role in the film: he was Reg Cattermole, a Ministry of Magic employee, into whom Ron Weasley transforms by drinking polyjuice potion when breaking into the Ministry of Magic with Harry and Hermione. You can listen to this interview here (see also under ‘Media’). On Wednesday 15th December 2010, I gave a public lecture at UWIC on Christmas in Literature and Tradition. I explored literary texts and traditions from the early Church, to the Middle Ages, to Elizabethan times, all the way to the ‘invention’ of modern Christmas in the Victorian period. Among others, I discussed the Middle English Arthurian poem Sir Gawain and the Green Knight and a number of texts by William Shakespeare, John Milton, Alfred, Lord Tennyson, Charles Dickens, Thomas Hardy, and Langston Hughes. I also included contemporary poetry by writers such as Connie Bensley and Helen Dunmore, and could not resist closing by a brief discussion of A Charlie Brown Christmas from Charles M. Schulz’s much loved Peanuts series. Those who attended the lecture were also offered mince pies and fruit punch to complete the festive cheer atmosphere. Last term (autumn 2010) I ran two online courses via UWIC: an undergraduate course on Fantasy Literature, and a more demanding MA-level course on J.R.R. Tolkien. The courses were a great success, and included two very lively Discussion Boards. Following this success, some of my Tolkien online students expressed their wish to continue discussing and debating Tolkien online, so it was decided that they could take over the Discussion Board of the Tolkien and Fantasy Online Courses at UWIC facebook group! They are the Tolk-lings and have started the mamoth task of discussing online The History of Middle-earth chapter by chapter, reading and commenting on one chapter per week! The discussion has now reached chapter 10 of The Book of Lost Tales! The Discussion Board is open to anyone interested (make sure you join the group first, so that you can post), so feel free to follow it or participate here. ← Festival in the Shire gains Welsh Media attention!